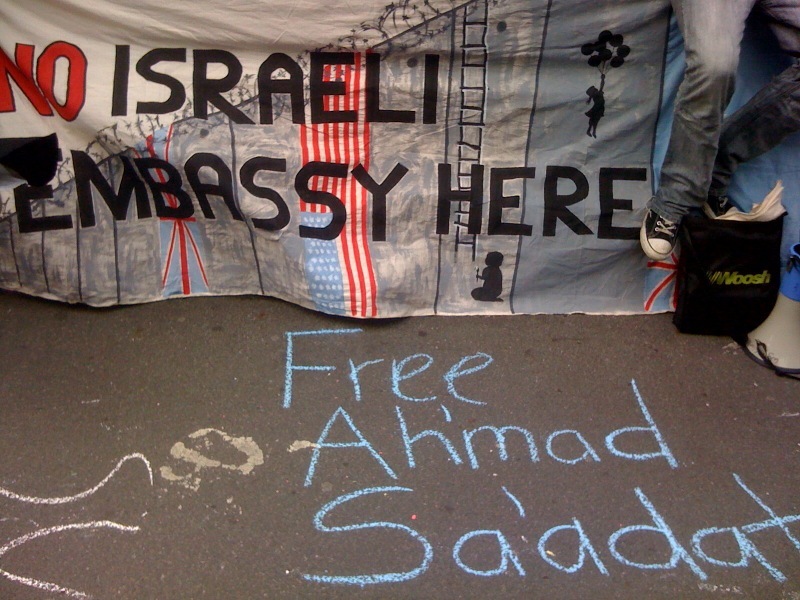 Today people protested outside the newly opened Israeli embassy in Wellington. The demonstration was organised by NIEW (No Israeli Embassy in Wellington) . 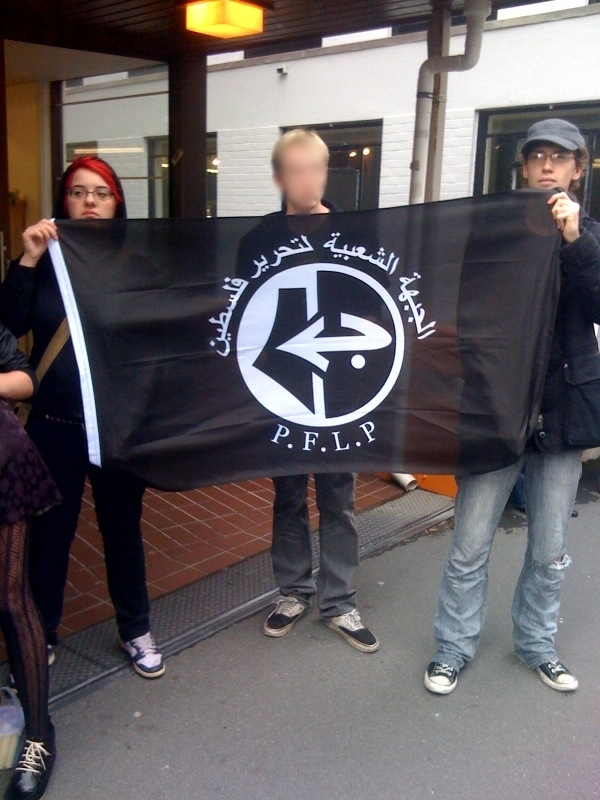 Members of the Workers Party carried a PFLP banner, and called for the release of Ah’mad Sa’adat the Palestinian resistance leader who has a jail sentence of 30 years.